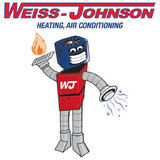 Weiss-Johnson Heating and Air Conditioning is Edmonton's largest residential HVAC company working for many large volume builders as well as many custom and infill home builders. We also have fireplace, plumbing and electrical divisions enabling us to help with any mechanical need you may have on your home or renovation project. We are a family owned and operated business that has been in operation since 1977 and we hope that we can be of service to you to make your home as comfortable as possible. 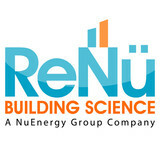 ReNü offers integrated building envelope and mechanical systems design services. We are passionate about creating low impact buildings with healthy and comfortable indoor environments. Simply Green Home Services Inc. offers a wide range of options to help Canadian Homeowners increase their home’s energy efficiency and reduce energy consumption. We provide a professional service which includes a free eco-consultation, free installation, and the best free follow-up service. Capital Plumbing and Heating, Edmonton's Trusted Plumber, is a residential Plumbing & Heating company focused on service, replacements, and renovations. We service Edmonton, Sherwood Park, Fort Saskatchewan, St. Albert, Spruce Grove, and Stony Plain. When using our services you can expect 24 hour emergency service. Our trained office staff and technicians will make sure your experience is as comfortable and hassle-free as possible. Started in Edmonton in 2001, Capital is not a one-man show or a fly-by-night operation. You can feel secure in the fact we are fully licensed, bonded and permitted, including the prepaid contractor's license which every company doing business in your home is required to have but few do. At Capital we offer STRAIGHTFORWARD Pricing meaning you will know exactly what your investment will be on any repair or replacement option you choose. No matter how small of a job! Our client loyalty program, The Capital Club, allows our clients to enjoy extended warranties, member discounts, free service, and many other benefits. You can't afford not to ask about it. We also offer many payment options including all major credit cards and confidential, easy to use financing. With Capital's pool of over 250 years of experience you can feel assured that your problems will be handled efficiently and professionally. Our extensive residential and commercial knowledge ensures your problem or wishes will be addressed. 100% satisfaction guarantee on all of our services. 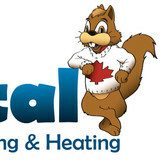 Otto Heating and Cooling Ltd.
Otto Heating and Cooling takes pride in providing quality HVAC services for a wide variety of residential and commercial needs. Whether you are a large volume builder or someone building your dream home for yourself and your family, we would love to help. Or are you looking to replace your current system? We do that too! We offer a wide range of solutions that can have your home comfortable and efficient in no time! At Otto Heating and Cooling we understand how frustrating a mechanical break down can be, our service techs will identify the issue, give you options for repairing the problem in a way that fits your needs. We will diagnose and repair any brand of Furnace, Air Conditioning, water heater, HRV, Fan coil, or exhaust fan. Furnace Repair Edmonton is completely committed to ensuring that your home heating and cooling system is working efficiently and safely 24/7. Not only is our staff fully accredited and highly skilled on all brands of HVAC units, they are extremely friendly. We guarantee your 100% satisfaction. When you’re looking for a job well done with integrity, give us a call at (587) 409-5683. 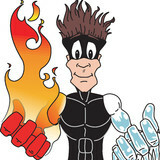 Furnace Solutions was built to give you customer service like no other. We believe in high quality, clean work and attention to detail at a reasonable price. We wanted to offer our Edmonton and Whitecourt customers an exceptional experience that is unbeatable to the competition. At Furnace Solutions, we strive to create that “wow” factor for every job we complete, setting the bar to an unprecedented standard. We are proud to say that we have accomplished exactly that. Our mission statement is perseverance, excellence, and never settling. We never sacrifice what our customers care about most. Top products, quality installation, top warranty, and reasonable prices – these are just some of the things you can expect from us. Furnace Solutions, proudly serving you better. At ProSolutions Plumbing, Heating & Air Conditioning Inc., we provide personalized client and equipment care – from regular heating and cooling check-ups and maintenance to emergency service and repairs to installing new equipment. From your initial contact through completion, our experienced staff will offer expert advice and product recommendations based on your specific needs. We work with you to custom-tailor your solution, including maintenance, warranty and financing options. The Furnace Family is a Edmonton family owned HVAC company specializing in residential furnace replacement and service, air conditioning, indoor air quality and water heaters. Romaniuk Heating & AC is a family owned business that has been serving the Edmonton area for 30 years. We provide expert installation, high quality equipment, and old school customer service. We carry Lennox brand products and specialize in furnace installation & repair. Titans Furnace Cleaning Ltd prides itself on being the go-to choice for clients looking for Furnace Cleaning, Duct Cleaning and HVAC Cleaning services. We are Edmonton's best Furnace and Duct Cleaning Company, our team aims to better ourselves every day. One call with us and you will see why Edmontonian's are raving about us. Developing a great relationship with our customers is very important to us as we take pride in our work. We hope to See you soon. Plumbers Edmonton provides homeowners with dependable, ultra-speedy services 24 hours a day, 7 days a week. Our master plumbers are fully licensed, bonded and insured and offer a 100% satisfaction guarantee. Our residential plumbers specialize in installing, repairing and maintaining plumbing systems used for drinking water, sewage and drainage, and heating and cooling. When should you hire an HVAC contractor? Generally, Saint Albert HVAC contractors or HVAC technicians work with or run companies that repair or install heating systems and air conditioning units for homes. But they have specialized services too. For example, if you are a wine collector and you are thinking of installing a wine cellar in your Saint Albert, AB home, you might hire an Alberta HVAC professional who specializes in refrigeration work. HVAC professionals can use their skills to help you to save money on your Saint Albert, AB home’s energy bills by installing radiant barriers in your attic or split-zone heating and cooling systems to heat rooms like solariums while cooling upstairs bedrooms during warmer temperatures. If you or a family member suffers from allergies, you’ll want to find an Alberta HVAC technician who is knowledgeable about the latest cooling and heating products that include antiallergen filters. Contractors who work in the HVAC industry keep up on the latest in heating and air conditioning technology so outdated or troublesome systems can be retrofitted with newer, more energy-efficient models. Some of these professionals may work with your contractor, builder or other home improvement professional to get the job done. Here are some related professionals and vendors to complement the work of heating & cooling sales & repair: Specialty Contractors, General Contractors, Solar Energy Contractors, Electricians. Find HVAC contractors on Houzz. Look in the Professionals section of our website and search for Alberta HVAC contractors. Read reviews and see how an HVAC contractor might approach your Saint Albert, AB home’s heating and cooling challenges.